Family law is mainly governed by state statutes. In Maryland, the official source of the state statutes is the Annotated Code of Maryland. 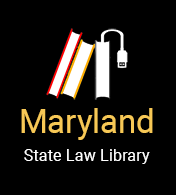 All Maryland law libraries and many Maryland public libraries (see SAILOR, Maryland's Online Public Information Network sponsored by Maryland public libraries) carry the Annotated Code of Maryland in print. Custody in Maryland is also controlled by federal law, meaning you must look at the federal law before deciding whether you can file for custody in Maryland (jurisdiction). Basically, if custody has been first decided in another state, you must return to that state court to modify the order. This is true as long as any of the parties or the child(ren) still live there. An attorney can help you understand possible exceptions. If no custody order has been entered, the question is whether Maryland is the “home” state for the child(ren). If it is, then you can file for custody in a Maryland court. Maryland's Uniform Child Custody Jurisdiction Act is Maryland's version of the uniform law. This is the law that determines when the Maryland courts have the power to hear and decide a child custody case (jurisdiction). This law tells you whether Maryland is the "home state" for purposes of a child custody case. Parental Kidnapping Prevention Act of 1980 (PKPA) is a federal law that says the home state, or the state with child custody jurisdiction (power to hear and decide the case) is the only state that can decide the custody status of the child.Every other state is bound by the home state’s decision. This law prevents a parent who does not have legal custody from kidnapping their child from a state in hopes of winning legal custody in another state. This law does not apply to international cases. The Maryland court rules applying in family law cases are found in Title 9 of the MD Rules. The print version of the court rules, like the print version of the statutes, provides summaries of cases that interpret the rules. The five largest Circuit Court jurisdictions in Maryland (Anne Arundel County, Baltimore City, Baltimore County, Montgomery County, and Prince George's County) have Family Divisions that strives to provide a fair and efficient forum to resolve family legal matters in a problem-solving manner. The Division’s goal is to improve the lives of families and children who appear before the court. In Maryland's smaller cities and counties, Family Services Programs are committed to the same purposes. For more information on the Maryland Judiciary's Family Divisions and Family Services Programs, see the Maryland Judiciary Department of Family Administration home page. The Maryland Child Support Enforcement Administration makes regulations relating to the collection of child support. The Administration's regulations are published officially in Title 7, Subtitle 07 of COMAR (the Code of Maryland Regulations). This is a print version which is available in all Maryland law libraries and many Maryland public libraries (see SAILOR). The Administration's regulations are also available electronically on the Division of State Documents home page. For more information on researching Maryland administrative regulations, see Finding Regulations. Because family law is largely a matter of statute, you will probably want to look for cases that interpret Maryland's family law statutes. The easiest way to do this is to find the statutes that apply to your situation in the Annotated Code of Maryland, then look at the case summaries following them. You can find additional cases by reading books that explain Maryland family law and noting the cases they cite. See "Resources for More Help" below for a list of books to get you started. Another method of finding cases is to search the Maryland Digest, which is a subject index to Maryland case law. The topics "Child Custody" and "Child Support" would be good places to begin your search in the Maryland Digest. You can find the official self-help forms on the Maryland Judiciary's Domestic Relations Forms page. Maryland Practice Forms, 5th ed. / Alex M. Allman ... [et al. ]; Baltimore, Md. : Young Lawyers Section, Maryland State Bar Association, 2003. The resources below may help you to understand Maryland family law. Keep in mind, however, that books explaining the law are no substitute for the law itself. You should always verify what the authors of these books say about the law by looking up the statutes, cases, and regulations the books cite. Some of these books may also include sample forms. For Maryland family law forms, use the official court self-help forms if they are available. Maryland Divorce & Separation Law / edited by Daniel F. Thomas. 9th ed. Baltimore, Md. : MICPEL, 2009. Custody: the Child's Voice / Baltimore, Md. : MICPEL, 2000. Maryland Family Law / John F. Fader, II, Richard J. Gilbert. 4th ed. New York : Lexis Publishing, 2006. Custody/Visitation Issues in the Non-Traditional Family / Baltimore, Md. : MICPEL, 1999. Child Support Guidelines: Advocacy within Their Context / Baltimore, Md. : MICPEL, 1995.
International Parental Kidnapping Crime Act of 1993: This international law imposes a fine and/or imprisonment to any parent who removes a child from the United States when they have not been permitted by the court to do so. A non-custodial parent who steals their child away from the custodial parent and takes the child outside of the United States may be criminally prosecuted. This option depends on whether the other country involved has signed an international treaty called the "Hague Convention." State Department Resource Guide on International Child Abductions - Includes prevention and search tips, the questionnaire/application needed by parents reporting an abduction, description of what the State Department can and cannot do, overview of legal solutions and non-legal approaches, and links to federal laws. Reports to Congress on International Child Abductions - Useful report by the State Department includes tools used to prevent or track abductions and current statuses of open cases.